Constipation is a common problem, which in most cases is the result of not enough fiber or fluid in your diet. As a result, there is difficulty or strain in passing stools. Constipation is a symptom, not a condition/disease in and of itself. Fiber, commonly known as roughage, is one of the two items which aids in the elimination process. It comes from plants (whole grains, vegetables, and fruits), is a soft soluble texture which adds bulk, helps to soften stools and stimulate bowel contraction to eliminate food from the body. Soluble fiber dissolves in water to form a gel-like texture and helps the body absorb nutrients needed for the food you intake. Insoluble fiber remains in its’ initial form but, aids in the passage of food through the digestive system. Some foods contain both soluble and insoluble fiber which utilizes the fiber for digestion. Jump-start your day. For breakfast choose a high-fiber breakfast cereal — 5 or more grams of fiber a serving. Opt for cereals with "whole grain," "bran" or "fiber" in the name. Or add a few tablespoons of unprocessed wheat bran to your favorite cereal. Switch to whole grains. Consume at least half of all grains as whole grains. Look for bread that lists whole wheat, whole-wheat flour or another whole grain as the first ingredient on the label and have least 2 grams of dietary fiber a serving. Experiment with brown rice, wild rice, barley, whole-wheat pasta and bulgur wheat. Bulk up baked goods. Substitute whole-grain flour for half or all of the white flour when baking. Try adding crushed bran cereal, unprocessed wheat bran or uncooked oatmeal to muffins, cakes, and cookies. Lean on legumes. Beans, peas, and lentils are excellent sources of fiber. Add kidney beans to canned soup or a green salad. Or make nachos with refried black beans, lots of fresh veggies, whole-wheat tortilla chips and salsa. Eat more fruit and vegetables. Fruits and vegetables are rich in fiber, as well as vitamins and minerals. Try to eat five or more servings daily. Make snacks count. Fresh fruits, raw vegetables, low-fat popcorn and whole-grain crackers are all good choices. An occasional handful of nuts or dried fruits also is a healthy, high-fiber snack — although be aware that nuts and dried fruits are high in calories. High-fiber foods are good for your health. But adding too much fiber too quickly can promote intestinal gas, abdominal bloating and cramping. Increase fiber in your diet gradually over a period of a few weeks. This allows the natural bacteria in your digestive system to adjust to the change. Also, drink plenty of water. Fiber works best when it absorbs water, making your stool soft and bulky. Regular bowel movements are necessary to remove toxins from the body. How often you experience bowel movements varies for each individual; some experience several times a day while others experience 3-4 times a week. Prunes-a very powerful choice in that it is high in fiber, which means they will help break up the stool and push it through. Take a few uncooked, generally are better stewed in sugar water. You know they are ready when the water is the same color as the prunes. Bananas-contain potassium which helps to absorb water needed to break down and dilute the stool. Bananas are also easy to digest. Warm Bath-helps to relax muscles and the warmth on the stomach increases the urge to go to the toilet. Coffee-works as a diuretic thus speeding up the passage of the stool. Don’t overdo because it can also cause dehydration. Coconut Water-helps with softening of stool and balance of electrolytes. It increases the urge of emptying your bowels. Apple Cider Vinegar-contains enzymes which can break up food and stool increases absorption of water and helps to regulate the body. Stool Softener-used to make stool passable through the intestines. Oil-mix a couple of teaspoons of oil with vinegar. This will lubricate the walls of your digestive system and allow food and stool to pass through. Should constipation become an ongoing or chronic problem, a doctor should be consulted because there is something going on to create this problem. 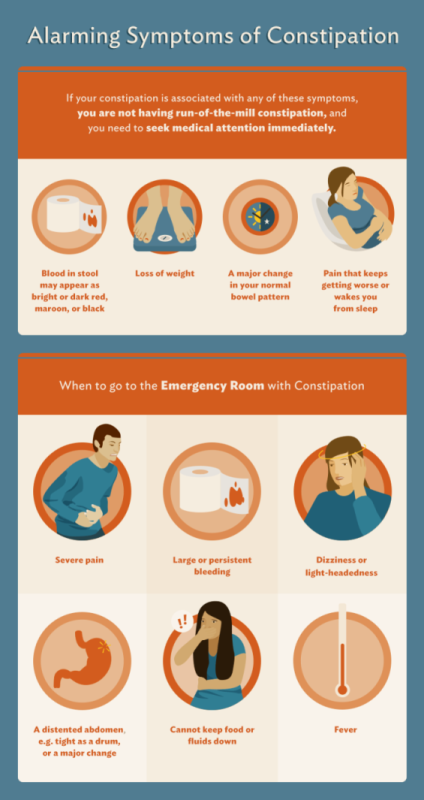 We all can experience constipation from time to time, but not on a frequent basis. As mentioned above between a healthy diet, water, exercise and if necessary additional fiber the problem should see a turnaround. Keep in mind also that constipation can cause such ailments as appendicitis, bad breath, coated tongue, body odor, intestinal problems, fatigue, gas, headache, hernia, hemorrhoids, obesity, insomnia and varicose veins. 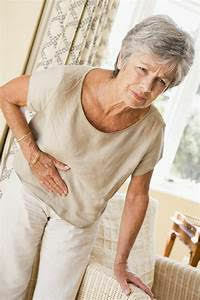 By all means stay away from highly processed and junk food on a regular basis for they further promote constipation.